Calgary, Alta. 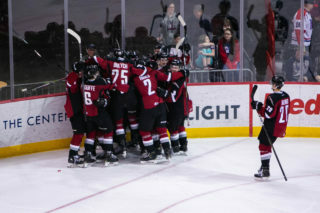 – The Western Hockey League announced today that 2019 NHL Draft prospect Bowen Byram of the Vancouver Giants has been named the WHL McSweeney’s Player of the Month for January 2019. 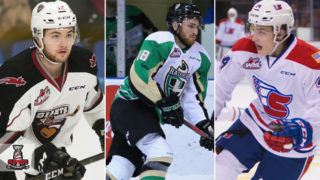 For the week ending January 13, 2019, Byram was named WHL On the Run Player of the Week and Canadian Hockey League Player of the Week. During the course of the month, Byram was recognized twice as the first star of the game, once as the second star of the game, and twice as the third star of the contest. 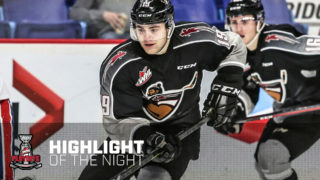 Byram also earned a pair of first star of the night honours for the WHL. Of Byram’s totals, 15 points (8G-7A) came at even strength. 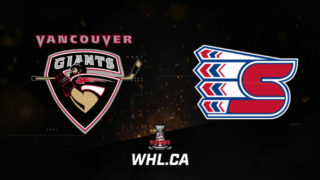 Originally selected third overall by the Giants at the 2016 WHL Bantam Draft, the 6-foot-1, 192-pound, 17-year-old has quickly become the top defensive prospect among North American skaters at the 2019 NHL Draft. 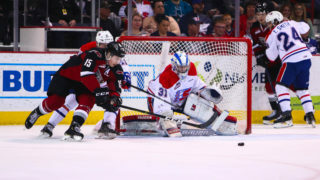 Days before Byram competed with Team Cherry at the 2019 Sherwin-Williams CHL/NHL Top Prospects Game, Byram was ranked fourth among skaters in North America by NHL Central Scouting.